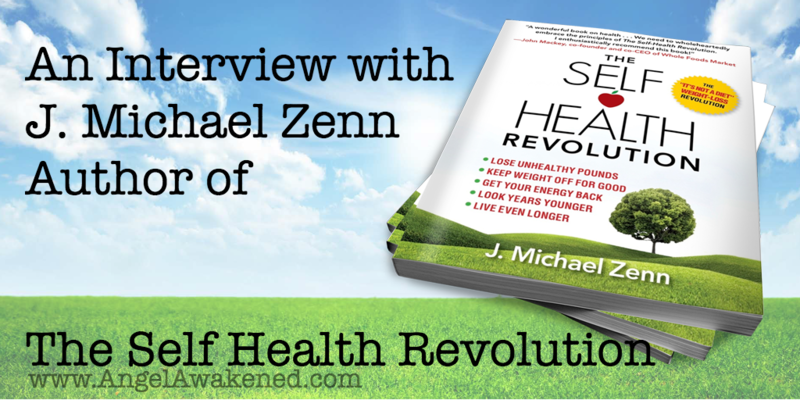 I had the chance to interview the author of one of my favorite books, The Self Health Revolution. This book is under 200 pages, filled with pictures, tips and tricks and to me, more than a book. This is a potential life changing vehicle. I have given this book to friends, family and clients. I keep a copy in my kitchen. In this audio clip, J. Michael Zenn generously shares some of his wisdom with us. Whole Foods Market CEO and Founder “Enthusiastically” Endorses “The Self Health Revolution.” A short, powerful little book, The Self Health Revolution, surprisingly produces a jaw-dropping, heart-stopping, awe-inspiring, laugh-out-loud read. The author, J. Michael Zenn, convincingly persuades the reader they must seize control of their health now (Self Health) by taking a few, utterly-simple, 15-minute steps to loose weight, escape pain, ward off disease and recapture the energy lost in their youth. On-the-side Marketing Tip: It’s always a great idea to repurpose content if you can. Here I decided to take the audio that I originally recorded for a live call and saved as an audio file on Soundcloud and create a Youtube video.